Anatoly Chubais, the former CEO of Russian electricity holding RAO UES, has been appointed to run the Russian Nanotechnologies Corporation or Rusnanotekh. He was given the job by president Medvedev on Monday, the Kremlin said. The state corporation was established a year ago to deal with the challenges arising from the development of new technologies. Many experts believe nanotechnology could be one of the most important industries in the 21st century. Chubais will take over as chief executive of Rosnanotekh from former first deputy Leonid Melamed, who has been in charge since it was set up in September 2007. Melamed has said that several former UES officials could eventually work for Rosnanotekh. 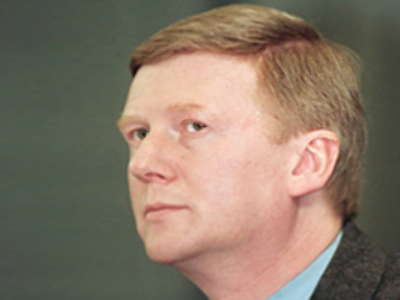 Rumours surfaced about Chubais’ appointment long before UES was wound up. An economist, politician, business reformer, privatisation specialist and Kremlin insider, Chubais is a well-known figure in Russia and abroad. 1977 – Graduated from the St. Petersburg Institute of Economics and Engineering with a Ph.D. in economics.